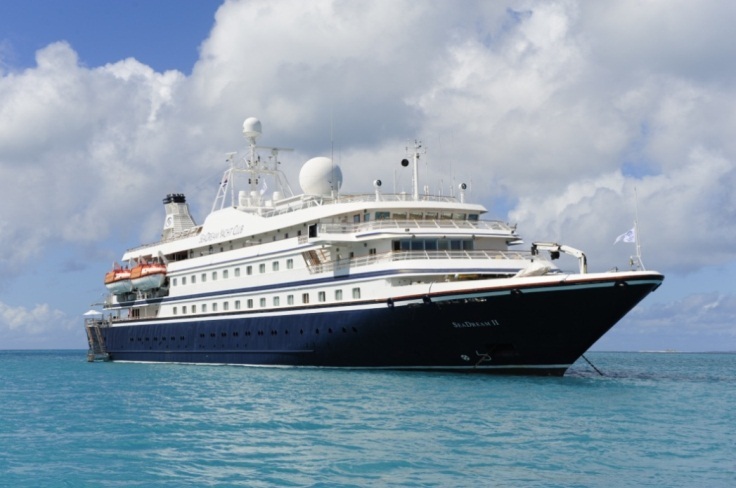 Prompted by demand from its very loyal Club members, SeaDream Yacht Club has just released full details on its plans to sail a series of voyages in Asia and Northern Australia beginning in late 2013. The line reports that one of its twin mega-yachts, SeaDream II will sail to Asia after completing her 2013 Mediterranean season. Sure to be a unique voyage, the "Passage to the Far East" will depart Athens, Greece in October 2013 and includes a transit of the Suez Canal, excursions to Egypt's fascinating archeological sites (accompanied by Egyptologist) and visits some intriguing ports before arriving in Mumbai, India. The yacht then sets sail for Singapore via Colombo and Phuket offering 18 unique voyages in the region: 7-15 days in duration with opportunities to combine voyages for a longer holiday. Scheduled to stay in Asia until April 2014, itineraries are varied and include ports in Sri Lanka, Thailand, Malaysia, Singapore, Myanmar (Burma), East Timor, Northern Australia, Indonesia, New Guinea, Vietnam, Cambodia, Hong Kong and China. "Whether you crave the peace and tranquility of undiscovered beaches and islands, or the exhilarating energy and buzz of vibrant cities, SeaDream's Asia offers something for everyone" said SeaDream's President, Bob Lepisto. Adding, "SeaDream's yachting itineraries include some unique ports such as the little-visited islands of the Burmese Mergui Archipelago in the Andaman Sea and Sanya, on Hainan Island in China." · Overnight, 2-day stay in Yangon, Myanmar (Burma), site of The Shwedagon Pagoda. Optional full day excursions by air to Mandalay and Bagan; a valley covered with 2,000 pagodas and temples. · Yachting the beautiful Langkawi Archipelago of Malaysia. · Visiting "the beach" (made famous by Leonardo DiCaprio in the movie "The Beach") on the Phi Phi Islands of Thailand. · Diving the vibrant underwater paradise of Thailand's, Similan Islands National Park. · Playing great golf in Malaysia, Phuket and at the Andaman Club, a five star golf resort & casino on Thahtay Kyun Island, Burma. · Spending New Year's Eve in Patong Bay, Phuket, Thailand. A night of fireworks and thousands of floating, candlelit paper "magic lanterns". · Exploring the world heritage site of Halong Bay, Vietnam; one of the seven natural wonders of the world. · Seeing giant monitor lizards on Komodo Island. · From Singapore, pre & post voyage overland packages to Cambodia including Angkor Wat. · From Singapore, a pre & post voyage overland package to Borobudur (UNESCO site) and Yogyakarta, site of the Prambanan Temple. SeaDream first shared the news with their enthusiastic past guests and their travel agents, allowing their Club members to be the first to reserve space, on what are expected to be highly sought after voyages. Visit www.seadream.com for full details.